Ayo.! Ciera releases new-age hustler's anthem "On The Phone"
Lakeland, Florida new-age rapper, Ayo.! 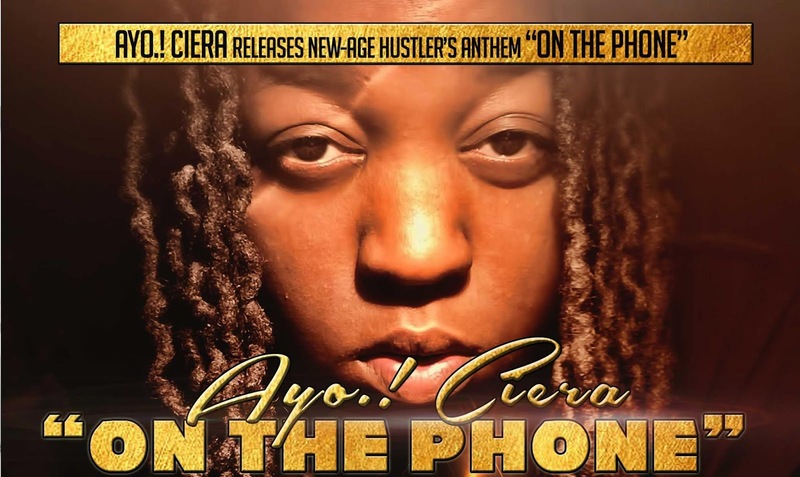 Ciera works smart – not hard, on her latest single, “On the Phone”, off upcoming mixtape, “Overlooked Underrated”. From calling plugs to calling shots, Ciera glides across a spooky, Big E Beatz instrumental, letting us know exactly why her monthly bill’s so high. The track begins with a chord progression and synth sound reminiscent of the early, Chicago Drill scene, afore diving head first into a ghoulish melody of pads and keys. A roll of hi-hats take to the instrumental, blanketed by the pound of 808s and snappy snares. Before you know it, you are engulfed in a nightmare of a beat; with Ciera’s flow haunting every crack and corner. She is relentless with her rhymes; sailing the beat almost effortlessly, in between bars about her most cherished device. With the energy she brings on this record, Ciera has undoubtedly created something that can house parties nationwide. If this joint is any indication of what she has in store for us with her upcoming mixtape, we’ll be “On The Phone” seeing a lot more of her this year.